The all-new G30 LS Tec (Low-Spin Technology) driver offers a unique combination of low, stable spin with a high MOI for added distance with accuracy and control. 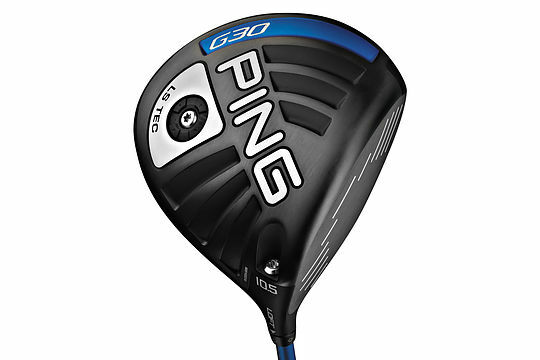 A sole weight positions the CG extremely low and back (slightly forward of the standard G30 driver) to generate low, stable spin (approximately 400 rpm less) with a high MOI for exceptional flight control and distance on off-centre performance. Turbulator Technology on the crown reduces aerodynamic drag on the downswing to help increase clubhead speed, and the thin T9S titanium face increases ball velocity for more distance. Using Trajectory Tuning+ Technology, players can add or subtract up to 1 degree of loft. The high-balance-point TFC 419D shaft has a CG closer to the grip end, promoting a simultaneous increase in the clubhead’s energy, momentum and inertia. Stock graphite shaft: PING TFC 419D (Soft R, R, S, X); Optional shafts (Std. length: 45.25″): Tour 65 and Tour 80 (R, S, X) provide low spin with a stable feel.